Over the years, Melbourne-based alt-soul collective The Cactus Channel have developed a reputation for delivering intricate, genre-bending compositions. Their third self-produced studio album Stay A While is certainly no exception. Comprised of eleven captivating tracks that showcase the musical prowess and dynamism of the group, this is definitely an album for those with finely tuned musical ears. Jazz influences feature heavily on the record, mashed together with psychedelia, pop and soul, creating a sound that hints at the likes of BADBADNOTGOOD, Unknown Mortal Orchestra and Grizzly Bear. Once again, TCC manage to retain their signature sound whilst incorporating vintage elements, and this time they introduce the entrancing vocals of Lewis Coleman to the mix. Title track and opener ‘Stay A While’ sets the scene for a mesmerising sonic journey. Sun-drenched jangly guitars collide with bopping keys, whilst the deep hum of the horns section provides a perfect foundation. In the latter half, genius chord progressions shift between moments of calm and suspense. TCC are certainly not a band who are afraid to let their instruments shine, a similar approach to critically acclaimed indie rock group Whitney and one that is often disregarded by bands with a desire to reach mainstream audiences; but it is in this approach that they have managed to locate a precise balance in their music. Arriving next is recent hit single ‘Storefront’, introducing the soulful, reassuring vocals of Coleman. The song gently ebbs and flow out of a psychedelic-infused haze, replete with clever horn arrangements, ethereal synthesisers and eclectic percussion. Meanwhile, track no. 5 ‘CMMNR’ immediately grabs the listener’s attention, almost transfixing you in a state of hypnosis as the instruments take centre stage. Obscure chords, a domineering horns section and jazz-infused percussion induce a mood of sheer suspense, making this a stand out track. Recent triple j favourite and number seven on the album, Leech, brings us back up to speed with an intoxicating beat. The soothing croons of Coleman meld perfectly with intricately layered instrumentation, gradually building throughout the track and slowing down only momentarily for an electrifying bridge. Super tight percussion ensures the excitement is retained throughout the entirety of the song. Next up, instrumental track ‘And Then They Rubbed Their Tired Eyes’ introduces quirky space-age synthesisers, immersing the listener in a rich, eerie soundscape and providing the perfect lead into the enthralling six minute ballad ‘Stop Me’. Captivating vocals float effortlessly along with melancholy saxophones whirling in and out of frame, almost mimicking a state of falling in and out of consciousness. The beautiful chords, angelic harmonies and pattering drumbeats are utterly entrancing, whilst a clever switch between time signatures ensures the listener is kept on their toes. As a body of work, Stay A While is cohesive, versatile and introspective; the kind of record you could put on during a long overnight drive to keep you sane. 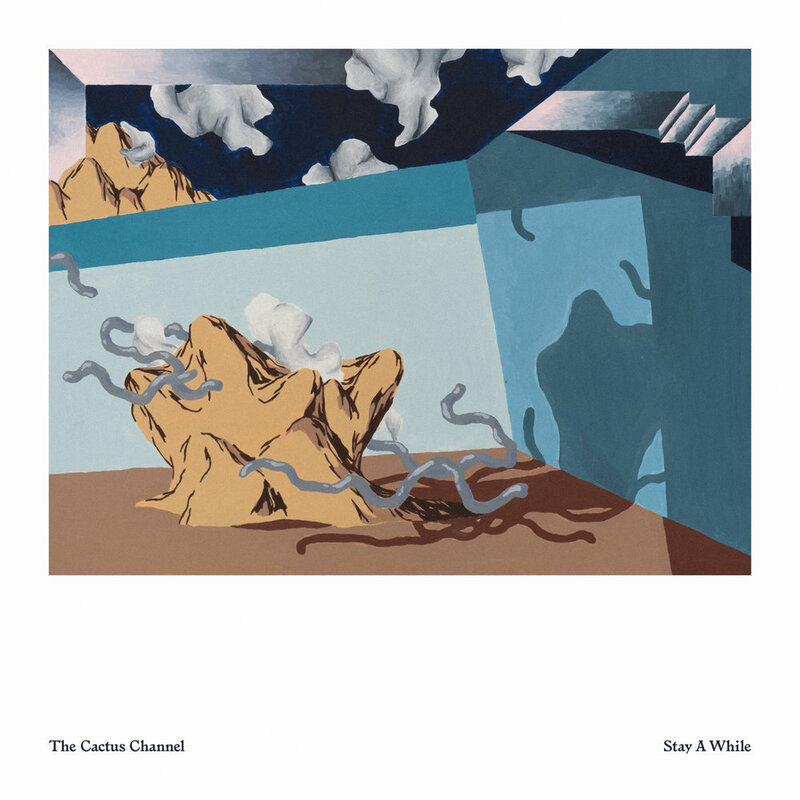 This review has only briefly touched on some of the tracks on the album, so grab a pair of headphones, whisk yourself away from reality and discover for yourself why The Cactus Channel are making some of the most interesting, clever music around right now. 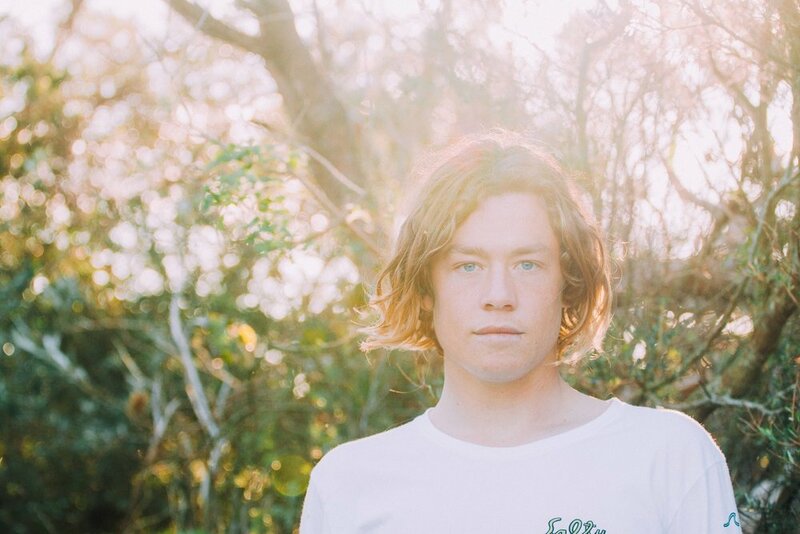 After releasing standout track ‘Switch Gears’, Brisbane-based producer cln marks his return with an impressive shift in direction on new single ‘The Other Side’. ‘The Other Side’ is a gorgeous piece of sultry R&B and down-tempo electronica, held down by aptly subtle percussion, dreamy keys and soul-filled vocals. At times, soaring synths and tastefully placed samples slightly lift the dynamic; however, the song still maintains its slow-moving tempo and never sways too far away from its consistent hypnotic groove. The producer describes the creative process behind the song – “I’ve been making a fairly broad range of music, and initially when I wrote this song I didn’t want to release it because it didn’t sound that much like ‘me’. It has come to grow on me though; I think it’s probably one of the better vocal parts I’ve written. I’d rather make what comes naturally than put myself into a box. That way I have more freedom and can be more honest”. Hopefully we’ll continue to hear the envelope being pushed further by cln, as I think the risk taken here was certainly a pay-off. If you're a fan of Devendra Banhart, Bon Iver or Bright Eyes then you'll love new Melbourne four-piece Tiny Little Houses. The band have just released their debut single 'Every Man Knows His Plague; And You Are Mine.' Produced by Steve Schram (San Cisco, Little Red), the single features Caleb Karvountzis' soaring vocals which take centre stage, while the rest of the band build layers of acoustic and lo-fi electric guitar, rolling percussion and even a trumpet. Scrolling into the deepest and darkest depths of Soundcloud, through default pictures and some interesting usernames, I was surprised to find a brand new track from Western Australian producer Lower Spectrum. Honestly, it can be mind-numbing trawling through new Australian electronic releases on Soundcloud, especially as the ear fatigue kicks in, but 'Khlever' ripped my ears and mind right out of any tiresome reality I'd sunken into. The sheer amount of sonic energy that Ned Beckley builds and releases in this track with so few key elements is nothing short of incredible. With ducking guitar chords, percussion that breathes and a booming low end that could sedate a silverback, this is an expedition of both mind and soul. Jessica Cerro aka Montaigne is an 18-year-old Sydneysider who has already been hailed as Australia's next big thing. Her first single 'I'm A Fantastic Wreck' showed her her vocal prowess on top a very minimalist arrangement. Her latest single 'I Am Not an End' is the bees knees. It's boasts the right amount of pop, soul and rhythm to pull you in and spit you out wanting more. 'I Am Not an End' is taken from Montaigne’s forthcoming EP 'Life of Montaigne' due for release the second half of this year. If Soundcloud is anything of a yardstick, it’s immediately clear how busy the Baghdad-born producer Motez has been in the past 12 months. With several successful remixes of popular artists (Ellie Goulding, What So Not and Frank Ocean), combined with a couple of small EPs and original works, Motez has shown exciting creative depth within the halls of house music. His collection generally guides the listener down two distinct paths: deeper, more dissonant basement boppers, or more upbeat, funk-orientated house. With his latest release, “Own Up”, Motez takes the cheerier and more universal latter option. Overlaying soulful vocals on top of resonating synth plucks and house rhythms, this particular track isn’t exactly pushing any new boundaries within the Australian “dance” music scene. But why should it? Every sonic element glues together seamlessly, creating a contagious, authentic and unpretentious energy. No doubt, it will be a nationwide dance floor favorite over the winter. I can almost see the overdramatic singalong miming of club goers now. Bobbing that head? Check out Motez’s upcoming 'Own Up' tour of Australia and New Zealand.